Bagan is a frequent stop on Irrawaddy River cruise itineraries. The city was once the capital of Myanmar, and is the birthplace of Buddhism in the country. More than 2,000 religious monuments -- stupas, temples and pagodas -- still stand today; you can see their spires dotting roughly 16 square miles. With its proximity to a small airport, Bagan serves as an embarkation/debarkation port. A port stop in Bagan will likely include a visit to Ananda Temple and the Shwezigon Pagoda, which are among the best-preserved religious monuments in the city. You'll also see hot-air balloons flying over the temples, particularly at sunrise. 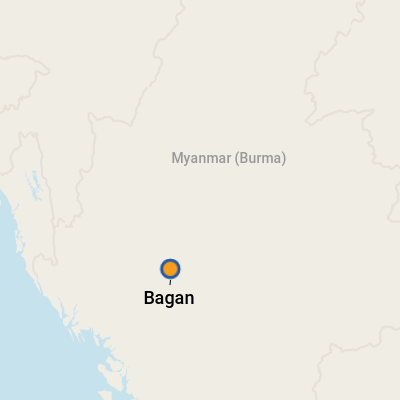 Bagan is a bigger city than many of the small villages along the Irrawaddy, and it has a bustling crafts market where you can pick up handmade souvenirs and art, often for a great deal. Expect to haggle: An offer of 60 percent off the first price is a good starting point. If you're not buying items from markets or shops, you'll have plenty of other options. Prepare yourself: You will be followed by local peddlers looking to strike a bargain with you from the minute you step off your riverboat. They'll follow tour buses to the various locations and will not back off when they hear the word "no." Prices can be great, and many of the sellers are children or young women. The currency in Myanmar (Burma) is the kyat.